The Herndon Building was constructed by Alonzo Herndon, who overcame slavery, sharecropping and Jim Crow to become one of the foremost African-American businessmen of his era. Arriving in Atlanta in 1882, he worked his way to the top of Atlanta’s barbering trade, eventually owning three barber shops. He invested in real estate and by the early 1900s was the largest African-American property owner in Atlanta. In 1905 he acquired the Atlanta Mutual Insurance Association, which became the Atlanta Life Insurance Company, today the largest black-owned stockholder insurance company in America. This four-story building was built in 1924 and offered 60 offices for African-American professionals and organizations, six storefronts and hotel space. Realizing the importance of the automobile, Herndon included underground parking in the building and a gas station next door. 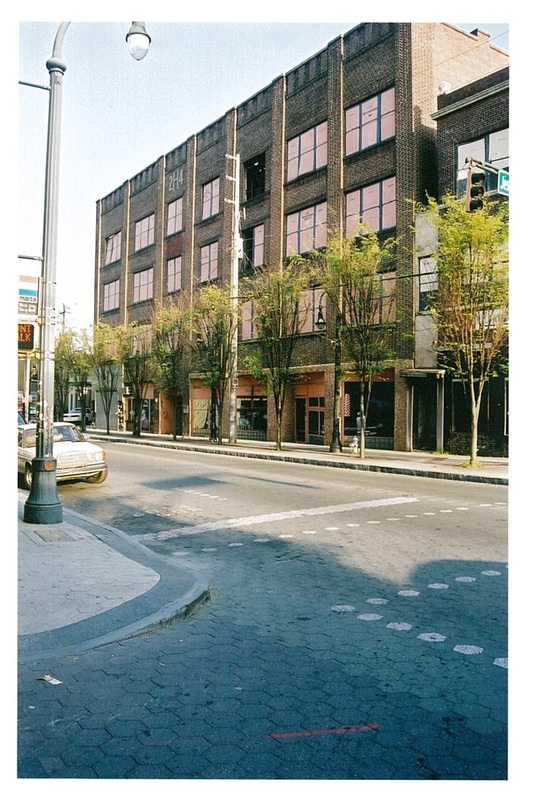 The Herndon Building has housed the NAACP, Atlanta Urban League, The Savoy Hotel, Galanti Brothers Delicatessen and many black physicians. The 2H4 on the front of the building stoods for Herndon and the year of completion. In 2001 there were plans to create a WMCA hotel at the site. However, most of this building has been demolished. The remaining section on the northwest corner of the block at Auburn and Jesse Hill Junior Dr NE, is boarded up and in an extreme state of neglect.